As I was riding in the car with my husband tonight discussing my interest in wine (and how I could turn a career out of this interest), he brought up the idea of me blogging to start. Wow! Sometimes he comes up with the most brilliant ideas. I am always talking about wine, wondering how I could share my love of wine with the world… and just like that Ian comes up with idea of me blogging. Genius! However, I am not a writer… but I have thoughtful opinions about my journey with wines. I am in no way a wine connoisseur. I love wine, plain and simple.I don’t have big words to describe why I enjoy (or don’t enjoy) wines. I just love the way it tastes on my tongue, the history of how it brings people and cultures together infatuates me and I thrive on the challenge of finding that “perfect” bottle of wine (which I have found so far in my life a lot of “perfect” bottles of wine.. and not so perfect). 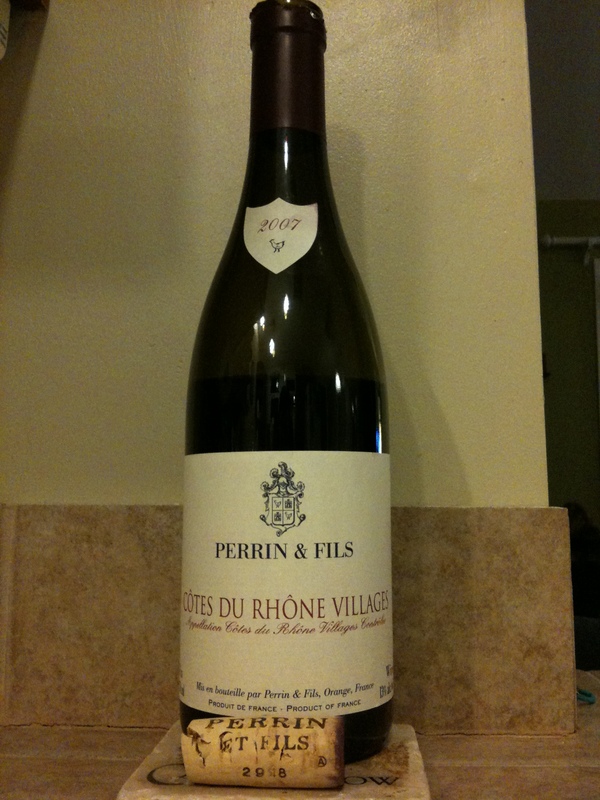 It doesn’t matter the cost… an $10 bottle of wine is in a way more exciting than an $80 bottle of wine. I believe you have struck gold if you find a fabulous bottle of wine for $10. Wine is all about personal taste. I was once asked if I thought it was funny that someone’s favorite bottle of wine was from Suttar Homes. No way! It is all a matter of personal taste… and I would never judge someone on their taste of wine. This blog is all about my opinion on what I taste.. and only how I feel about the wine. If you taste the same wine and feel differently about it, please let me know. I welcome everyone’s comments. I am slowly learning about wines and yearn to learn more. I have been on many wine tours in Napa, Eastern Washington, Oregon and the Burgundy region of France (though, I don’t remember much about that trip) – but I am still very much a novice. I plan on taking classes and doing a little more research. I would like to share all my new found knowledge with you. I will keep it short, simple and easy to understand (because that is how I work). Please enjoy this journey with me! Nice everyday wine. Doesn’t have a lot of punch, but smooth and light taste. The smell has a berry scent, however when tasting not a lot of fruit flavor nor is it sweet. If you like a heavy Cab or Zinfandel you may not like this wine. For the price though, it is a nice bottle to take over to your in-laws house.